What’s coming up on the Deeper Waters Podcast on 11/28/2015? Let’s plunge into the Deeper Waters and find out. It’s a universal agreement among New Testament scholars that the disciples and others were convinced that they had seen the risen Jesus, but what was the nature of these appearances? Are we dealing with something like Jedi Jesus where Luke Skywalker sees old mentors of his around a fireplace but he can see right through them? Are we dealing with something being just in the head like a hallucination? Are we talking about something that is an altered state of consciousness? In order to address this, I’m having on the show Dr. Phillip Wiebe, author of the book Visions of Jesus. So who is he? Here is some biographical information on Dr. Wiebe as well. He is married to Shirley and they are parents of two children and grandchildren of four. He got a Ph.D. in philosophy from the University of Adelaide in South Australia in 1973. Starting in 1972 he was a philosophy professor at various universities in Manitoba and ending in 1978. From there, he went on to Trinity Western University in Langley, BC. He is not only the author of the above-mentioned book but also of God and other Spirits, and Intuitive Knowing As Spiritual Experience. He has also spoken on this topic in Oxford, Harvard, Chicago, Pittsburgh, San Francisco, Toronto, Vancouver, Winnipeg, Quebec City, Eugene (Oregon), Tacoma (Washington), Burlington (Vermont), Lublin Catholic University (Poland), and Leeds (UK). He has also given more than 55 lectures on the Shroud of Turin and is a member of the Vancouver Shroud Association. He is a member of the Ascension Anglican Church in Langley, BC. In Wiebe’s research, he compared the resurrection appearances of Jesus to those that take place in altered states of consciousness and found that they did not match. We’ll be talking with him about this claim and the implications that follow from it. How is it that these appearances are so different from the visions that people see in altered states of consciousness? What about the possibility of something like cognitive dissonance going on? What about the group appearances and what about the appearances to people like James and Paul who were skeptical of the Christian movement? If these were not hallucinations then, what are we left with? Does this mean that the apostles and others necessarily did see the bodily risen Jesus or could it have been something else? How can we best use this information when we make our case for the resurrection of Jesus from the dead? Could we say that perhaps these appearances would have turned out differently if the people back then had known about modern science? As listeners of the show and readers of the podcast known, the resurrection of Jesus is one of my favorite areas to talk about and I’m certainly looking forward to this conversation on the appearances of the risen savior. Again, I will just be getting back from out of town so please excuse if there are any delays in getting this podcast out to you. I will be trying to do my best. What’s coming up on the Deeper Waters Podcast on November 21st? Let’s plunge into the Deeper Waters and find out. As I said yesterday, we are doing this early due to my being out of town so don’t worry if you don’t see the blog updating. On the weekend of the 21st, I will be doing a one-hour interview on the book God’s Crime Scene with J. Warner Wallace. In this, Wallace looks mainly at the scientific data for the existence of God to determine if the universe and what is in it is best explained by what’s inside the room or something outside of the room. So who is J. Warner Wallace? Join is for a good hour talking about the boook. Again, I might not get this into your ITunes feed immediately, but I will try! Are Christians really embarrassing themselves? Let’s plunge into the Deeper Waters and find out. Take Joshua Feuerstein for instance. This is a guy who goes into a Starbucks and decides that since their cups are totally red aside from the Starbucks logo that Starbucks has declared a war on Christmas. He also has this notion that Starbucks employees are not allowed to say Merry Christmas. (Maybe they’re not saying it yet because we haven’t even had Thanksgiving yet?) This despite the fact that Starbucks employees have said they can most definitely say Merry Christmas and despite the fact that plenty of Christians have posted who aren’t Starbucks employees but have said that their baristas have wished them a Merry Christmas. Feuerstein’s idea then is to stick it to the man by telling the barista every time that his name is Merry Christmas. That way when they call out an order, they will have to say Merry Christmas. It’s as if Feuerstein thinks that getting a barista at Starbucks to say Merry Christmas is like getting a vampire near garlic or Superman near green kryptonite. So you see, Feuerstein is teaching Starbucks a lesson. He’s making sure that they wish everyone a Merry Christmas and he is forcing them to write Merry Christmas on the cups. If that isn’t enough, he wants you to join in and has a hashtag devoted to this. Yep. Gentlemen, start your engines! The revolution has begun! There’s no nice way to say my thoughts on this. Let’s start by looking at the story that has been set up by his group themselves, the radicals. Its ok that some of you don’t agree with my methods. I still love you. Obviously at nearly 8 million views in 48 hours .. its connecting with the sentiments of a lot of others too!!!! Yes. Because a lot of people are viewing this, that must mean it’s connecting with the sentiments of others. So to get back to the article, the idea is to go in, say your name is Merry Christmas, and force the barista to say it (Because you know they all hate that) and then take a selfie with it. In fact, for wanting to teach Starbucks a lesson, if I was the CEO of Starbucks, I would be thrilled that this was going on. You see, either way, people would be coming into my stores and they would be buying my drinks and they would be taking pictures of my drinks and sharing them everywhere and this kind of talk only gets people talking about Starbucks all the more. I say this as someone who doesn’t even go to Starbucks. Whenever I am in one, I don’t care for coffee at all and instead choose to go with tea. I don’t see this to defend Starbucks or promote them as there are several other grounds that one could go against Starbucks on, but this is not one of them. You see, let’s suppose you go and buy a drink from Starbucks and then take a video of yourself pouring it down the drain to show Starbucks how little you care about them. Well guess what? Starbucks got your money any way and frankly, they don’t care what you do with their drink afterwards. It’s the same thing with people who would buy copies of the Harry Potter book just to burn them. The publisher got your money anyway. They don’t really care what you do with the book after you buy it. In fact, I would think at this rate Starbucks would say next year they might not even have holiday colors on their cups to see if they can get even more people talking about them. And let’s take a look at what is going on in the world around us. For instance, ISIS is busy killing off Christians in the Middle East. It would be interesting to see what they think about the cups, but I doubt they really have an opinion. You see, while Feuerstein is whining about coffee cups at Starbucks, there are real battles going on. There are real Christians that are being put to death under ISIS. There are real Christians being killed in China for their faith. Christians all over the world are suffering at the hands of real persecution. Every time you make an issue like this a war against Christians, you demean everything that those Christians are going through. You don’t even have to go overseas. Look what’s going on in America. Christians are abandoning Christianity rapidly and one of the reasons is unanswered questions and that usually gets paired with the idea that Christians lack critical thinking skills. Guess what kind of feeds into that mentality? Not only do we have that, we have a culture that has justified anything in the area of sexuality saying that everything is okay as long as it’s love. So we have all of this going on and the war that we need to be fighting is that Starbucks doesn’t have coffee cups the way that we want them. You might think that by having the barista shout out Merry Christmas, you’ll get people talking about Christmas. Um. No. First off, as it gets closer to Christmastime, you might be surprised but people talk about Christmas anyway. It’s kind of like the closer we get to Super Bowl Sunday, the more people talk about the Super Bowl. It’s just so amazing how it works like that. If they do talk about it, what might be said most is “Wow. Look at those dumb Christians whining about a war on Christmas. No wonder we shouldn’t take them seriously.” All it will ultimately do is make you look dumb, and you’ve already got Josh Feuerstein to do that for you. You don’t need to make it easier. Furthermore, I’m going to go a step further. Let’s suppose Starbucks didn’t want to do anything for Christmas. Well that would be foolish I think, but that’s their right. That’s what freedom is in America. They don’t have to do anything. Starbucks, believe it or not, is not a church. They are not in the business of evangelism. Instead of whining about Starbucks not sharing Jesus this Christmas, maybe Christians should go out there and, I don’t know, share Jesus this Christmas? 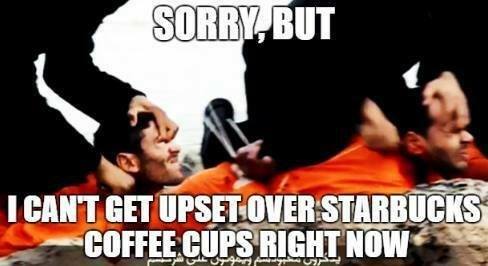 If Starbucks doesn’t want to, they don’t have to. That’s their right and that right will be defended. Also, please do not speak about this as the “Coffee Cup Controversy.” There is no controversy going on. Give it a more fitting name. Call it the Coffee Cup idiocy or hoopla or nonsense, but certainly nothing that gives it the idea that there is really some merit to anything this guy is saying. Go out and fight the real battles Christians and please don’t give people like Feuerstein a microphone. It will only be used to embarrass you. What do I think of Jeremiah Johnston’s book published by Whitaker House? Let’s plunge into the Deeper Waters and find out. Johnston’s book is engaging and easy to read. I have studied apologetics for years and there are many books that I frankly get bored during because I’ve read so much of it before, but not so with Johnston’s book. Johnston moves in between the intellectual and the personal in that he has not only a philosopher’s mind for what he does but he has the heart of a true pastor. This is also tied in with a thorough Biblical knowledge. Johnston not only wants to give the answers but he cares about the people to whom the answers will be given and this care is abundantly shown throughout the book. Johnston starts his main arguments with having a faith centered on the resurrection. It’s a shame in our day and age that so many Christians know so much about the “end times” supposedly and how and when Jesus will return, but know next to nothing about the resurrection of Jesus. 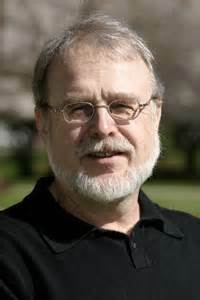 Plenty of people knew all about the Harbinger and about the blood moons and were watching those speakers on those topics, but how many of them are listening to Mike Licona, Gary Habermas, N.T. Wright, and William Lane Craig? How many of them even know who these people are? Christians get caught up in the sensational and ignore the essential. Also, Johnston ends this section as all others with a rule of engagement on how to go and engage with those who disagree with the Christian faith. Each of these sections is a gift in itself. The next chapter could be one of the most important ones Christians need to hear today and that’s the chapter on mental illness. As I have said before, mental illness is a serious problem in the church today and few know how to respond in love to silent sufferers. If we have someone come to the church in a wheelchair, few of us will shun such a person and hopefully no one would challenge him to a footrace. The tragedy with mental conditions is that you cannot see them for the most part. My wife and I both have Aspergers for instance and this is usually something we tell people because they can’t see it apparently. Some might guess, but it’s not as apparent as a wheelchair. How many people however fail to grasp how different the life is of someone with a mental condition and respond to them? Not only that, but we are often cruel to people who are suicidal, depressed, struggle with cutting, etc. by just telling them that they need to have more faith. If I keep going on that point, it will be a soapbox, so let’s get to the next one and that’s dealing with the paranormal, something not covered today. I did wonder sometimes where the line would be drawn in this one as I am a fantasy buff and I love worlds of mystery and magic. Still, the church is not doing a lot to address claims that are paranormal when in some ways, this is a gold mine that we could be jumping on. This tells us that people are open to a world that lies beyond simply matter. Why should the occult and New Age movement fill this vacuum? Why not let the church do that? Next we come to Bible-ish Christianity. This is where Christians don’t really know their Bible as they should. They just have a simple knowledge and maybe not even from reading all the way through. I think this also happens too often when we get people to become Christians and immediately have them out doing evangelism before we seriously disciple them. (I could go a step more and say that I really don’t think we should even be focusing on conversions. Disciple someone first and make sure that they know what they’re getting into before they’re ready to say Jesus is Lord.) It would be wonderful if more of us could spend more time learning about what we claim to be the most important aspect of our lives. I’m not saying have no other interests. We all do. (We’ll pray for Dr. Johnston with his football interest) I’m saying that if you can devote time to your favorite TV show, you surely can to knowing Jesus. Finally, Johnston has a section on suffering and a part he wants to hit at is how me-centric we are in our Christianity today. Everything is all about me and somehow we can know the will of God in our lives by looking at our experiences. It is a shame that too many people get their theology today from feelings and experiences instead of interacting with Scripture and with wise Christians past and present. Some might say that they are not trying to do theology, but everyone inevitably does theology. You just do good theology or you do bad theology, but there is no avoiding doing theology. In conclusion, this is the kind of book that we need today. If I was a youth pastor at a church, I would be arranging a book study on this book right now! Young Christians will be better served studying this than by having endless pizza parties. Jeremiah Johnston has given the church a gift in this and we need to accept it and put it to use. Is there an elephant in the room? Let’s plunge into the Deeper Waters and find out. What kinds of questions would an apologist most want to answer? Wouldn’t it be the questions that people are asking the most? Who wants to bother answering a question no one is answering? That makes sense, so why are we not answering the questions people are asking the most? What questions are those? Is it the question of creation vs. evolution? No. Is it the question of if the Bible is reliable? No. It is the question of did Jesus rise from the dead? No. Is it the question of just evil in general and why a good God allows that? No. If Jeremiah Johnston’s ministry is any gauge of questions, the #1 area of questioning that comes into his ministry of the Christian Thinkers Society is the question about mental illness and all that it entails. He has some fascinating information this in his book Unanswered. And do you remember the last time you heard a sermon from the pulpit about reaching and helping those with mental illnesses and understanding them? There’s a reason that mental illness isn’t talked about much in the church and that’s one of them. I am also in a unique position to write about this. Johnston in his book writes that most people you meet with mental illness will look and seem to act just like you. I know this well because I am one of them. Mental illness does not mean you’re stupid. Many of us can be very bright. It does not mean you don’t love Jesus. Many of us have a great love of Jesus. It does not mean you lack faith. Many of us strive to walk a life of faith just like the rest of you do. It just means we have something different in our brains that affects how we act much like someone with a physical disorder has something different in their body. You would not tell someone in a wheelchair that they have a lack of faith. (Okay. Again some would, but I hope most of you wouldn’t.) They just have something in some part of their body that prevents them from moving like normal. Why say the same to someone with a mental illness? Chances are someone in your church is on the spectrum and in fact, while I would consider myself a Christian speaker who is on the spectrum and someone with some degree of authority in the field, I am not the only one. My friend Stephen Bedard announced that he was recently diagnosed with autism here. He has a number of books available on Amazon including one he wrote with Stanley Porter. He and I discussed how to make a church more autism friendly on my show here. Another prominent figure who is on the spectrum is in fact Hugh Ross of Reasons To Believe. Dr. Ross has an incredibly encyclopedic memory of the things that he has read, which is something a number of people on the spectrum have and has been an advocate for awareness of autism. He also came on my show during Autism Awareness Month to talk about his life with autism and that can be found in the second hour of my interview with him here. Of course, autism isn’t the only disorder, but before I move on to another one, I want to say something. Many times when I read someone saying something about me, they will say that I suffer with Autism or Aspergers. This is inaccurate. I live with a condition. I have some extra burdens from the condition from time to time. I do not suffer because suffering is a choice. I in fact choose to thrive with my condition and I like some of the advantages I think my different brain wiring gives me. Frankly, if there came out a cure for autism disorders tomorrow and I could be given it for free, I doubt that I would take it. This does not mean that some people do not suffer, but it does mean that suffering is not a term that should be put on someone immediately. How about depression? We can often think that this is surely a spiritual malady. After all, aren’t we to have joy in all things? Indeed, we are, and to be fair, there are a number of things someone with depression can do to improve their mood, but at the same time, there are medications that can help as well. We could tell someone recovering from a surgery that they need to do some exercises in order to get their body back into good condition again, but that does not mean we won’t give them pain medication. I have been in the hospital before for scoliosis surgery, which means I have a degree of curvature to my spine. It was corrected by strapping a steel rod onto my spine. (I tell Allie she’s married to the man of steel.) When I got out of the hospital, I was increasingly given limited exercises to do to learn how to simply walk again, but I was also given medication because I was in a heck of a lot of pain. Why should my back condition be seen as something it’s okay to take medication for and yet depression isn’t? So let’s get some facts clear of some things to NOT say to a depressed person. Do NOT say anything to increase their guilt, such as saying “If you loved Jesus more, you’d feel better.” “If you prayed more, God would deliver you.” “If you read your Bible more, you’d get over this.” Now I do think all of those are good but the reality is we can ALL improve on them. I think if we love Jesus more we will do better in life. If we pray more and read our Bibles more, we will be stronger in life, but that does not mean that we will have deliverance from depression. Am I saying God cannot heal? No. Am I saying miracles cannot happen? No. I am saying that we are not guaranteed these things and it could be sometimes God does not do a miracle because He wants to show the world what He can do through flawed creatures, like we all are. Also, do not please say such nonsense as casting a demon out of someone who has depression. It’s very easy to blame a lot of problems on demons. If all of our sin was due to demonic activity, that would mean we are not responsible for any of it. We often talk in the church about how the devil is tempting us to do XYZ. Frankly friends, the devil doesn’t have to do anything to have me be tempted to sin. It’s pretty easy to find temptation all on my own. This is indeed an area where we all, depressed or not, have to learn to practice the spiritual disciplines. That is also a battle that ultimately never ends because we are all always continuing in sanctification. And also, do not try to help the person seriously if you are not trained in doing so. The reality is those who try to “fix” someone with a mental condition can be more prone to doing a whole lot more harm than good, despite what their intentions may be. Of course, you should seek to help someone who is struggling with this and one of the best ways that you can do this is in fact by listening to such a person. You don’t necessarily have to offer advice. If the person is okay with it, you can give them a hug or something and you can offer to pray with them. Many of these people would just like someone to listen to them and they can know they’re not alone. They don’t have to carry the burden alone. Depression is much more common than you realize and with it we could include other conditions like bipolar disorder. Having depression or a condition like it does not mean you are a bad Christian. It does not mean God is angry with you. It does not mean that God is punishing you. We would not say this is the case immediately if someone had cancer. Of course, there’s nothing wrong with evaluating your life when pain strikes and seeing if there is anything you need to work on, but that does not mean we should jump to the idea that all suffering you have is because God does not care about you or is actively angry with you. If you want to help someone like this, be in it for the long haul. There are no quick fixes save a miracle of God and you cannot bring that about on your own. Be prepared to walk and talk with the person who is suffering from depression and mainly be a friend and just listen to them. Of course, you can give advice from time to time, but make sure the person is really open to the advice. Fortunately, more churches are starting to open up to this kind of thing. This is especially the case since so many churches have groups now such as Celebrate Recovery to help people overcome any problems that they have. With this, we must go down a darker path still and realize that many times, someone with depression will be prone to committing suicide. Let’s not hold back at one area here. Suicide is a sin. It is wrong and it is condemned by Scripture since Scripture prohibits murder. Still, there is no Scripture that says suicide is the unpardonable sin. There is no Scripture that says that if you commit suicide, you are bound for Hell. That does not at all mean that we should take suicide lightly. We should realize that like any other sin, we should seek to prevent it from taking place and the reality is, we can do that. For those struggling with this, this is never the answer. In fact, someone who sees a loved one commit suicide never fully recovers. Most of us remember the news about Robin Williams committing suicide. When my wife and I were dating, I brought over the movie Patch Adams for us to watch and laugh over together. Now we suspect we will never be able to watch it again. Closer to the Christian community was the fact that a couple of years ago Pastor Rick Warren’s son committed suicide. Some of you may disagree with Rick Warren on some theological issues but this is not the place to discuss those. Rick and Kay Warren wrote about their struggles here and there is a fund to help fight mental illness here. The effects of suicide never go away. I heard of a man in his 60’s whose Dad died by suicide when he was 8 and to that day, the man still asked everyday why his Dad did that. He didn’t understand. Why did his Dad not want to be a part of his life? You can learn to go on living after a loved one commits suicide, but you never really get over it. In fact, if a person commits suicide, they will increase the chances that a loved one of theirs will commit suicide. Please. If you are struggling with this, contact a health care professional immediately or call the National Suicide hotline: 1-800-273-TALK (1-800-273-8255). Please go and like their page. They somehow use Facebook to pinpoint locations to better help people. Their page can be found here. Also included in this could be cutters. These are people who struggle with depression and relieve it by giving themselves bodily injury with things like knives, scissors, etc. This is also something that we should not accept in the church. Still, while we do not approve of the action, we should have compassion on those who struggle. Some of you might be hearing about cutting and think that that doesn’t make much sense. It doesn’t have to make sense to you. It is just the way that it is. When American Sniper came out, PTSD became a major topic. It’s a shame that so many people who go and fight for our country come home and do not get the treatment they need when they start having flashbacks of a war they fought in. They can have night terrors where they wake up screaming and could even in a moment of panic hurt someone around them. This isn’t just veterans. Anyone who goes through a major trauma of some sorts could come down with PTSD. There can also be a localized PTSD. As a small child I went to the beach with my parents and while out in the ocean, suddenly found myself underwater thanks to the undertow. To this day, I am terrified of water, much to my wife’s chagrin, and as logical as I try to be elsewhere, I start screaming and panicking in a swimming pool. One time she asked me to walk from one end of the pool to the other with her and even near the edge. The greatest depth I’d get to was about 5 feet. I’m about 5 foot 7. Three times on the walk down there I asked her if she’d taken out a life insurance policy on me recently. Is it embarrassing? Yep. Do I look forward to a day when I can enjoy the water with my wife? Yep. It’s a localized PTSD I have though where I panic about drowning. It was only a few years ago I was able to wash my face in the shower. That’s how severe it is. I can only imagine it’s worse for far more traumatic events, such as being a child and witnessing a school shooting, or being a soldier and watching your buddies die in a horrible event. This kind of situation can be treated. Of course, barring a miracle, it will take time and it does not mean a person will ever be completely over it. The great tragedy in all of this is that the church is not seen as a place where people with mental illness feel safe. In fact, the church can shun people who have a mental illness and when we do that, we cut away from the body some of the people who can best show us the power of Christ. Many of us think it can be hard to face reality when we have bills to pay, unemployment, health problems, etc. Imagine facing reality where your own brain many times can be your enemy and you live with that constant enemy. People who are able to keep fighting on in the midst of this should be our heroes and receive our support. This is especially worse since we are supposed to be Jesus to everyone and in no way can I picture Jesus shunning someone because they have a mental illness. How can we truly show the love of Christ if we are shunning someone for something they cannot help? Now of course, we can certainly agree they can do something about their problems, such as learning a good coping skill, but that does not mean we blame them for their problems or tell them they have a lack of faith. Maybe, just maybe, if the church can start being the church we can end the stigma against mental illness and give the people of the world a safe place that they can go to. Please consider helping those with mental illness today. What’s coming up on this Saturday’s episode? Let’s plunge into the Deeper Waters and find out. Wisdom. It’s a word many of us would love to use but we find it hard to come by. In fact, many of us are like Adam and Eve in the garden and want to get the fruit to make us wise, but we want to on our terms and to do it immediately. We don’t want to work for wisdom. Have we really learned the value of wisdom and how to live a wise life? Is there a way to help us on the path of wisdom and see how we can go about it? Fortunately, that there is, and that guide comes from Dr. David Capes with his book Slow To Judge. Even more fortunate, he’s going to be passing on the wisdom by being my guest on the show this Saturday. 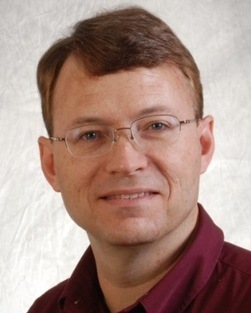 David B. Capes is the Thomas Nelson Research Professor in the School of Theology at Houston Baptist University. 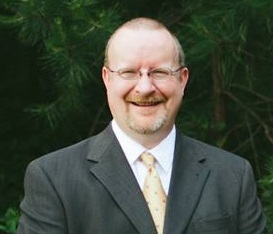 Before coming to academic life, David served churches in various roles in Georgia, Tennessee, and Texas. He graduated from Mercer University (BA 1978) and Southwestern Baptist Theological Seminary (MDiv 1982; PhD 1990). He has done additional work at Baylor University and was twice named a Visiting Fellow at the University of Edinburgh (2000 and 2009). He has authored, co-authored, and edited a dozen books and numerous articles on early Christianity, culture, and Scripture. For over 20 years he has been active in interfaith dialogue with Jews and Muslims around the world. In 1996 he began a radio show in Houston which addresses current events and cultural questions through the lens of faith. “A Show of Faith” airs weekly on 1070 KNTH. In 2004 David became the lead scholar on The Voice, a dynamic translation of the Bible into English. He has served as one of the main writers, reviewers, and editors on the project. 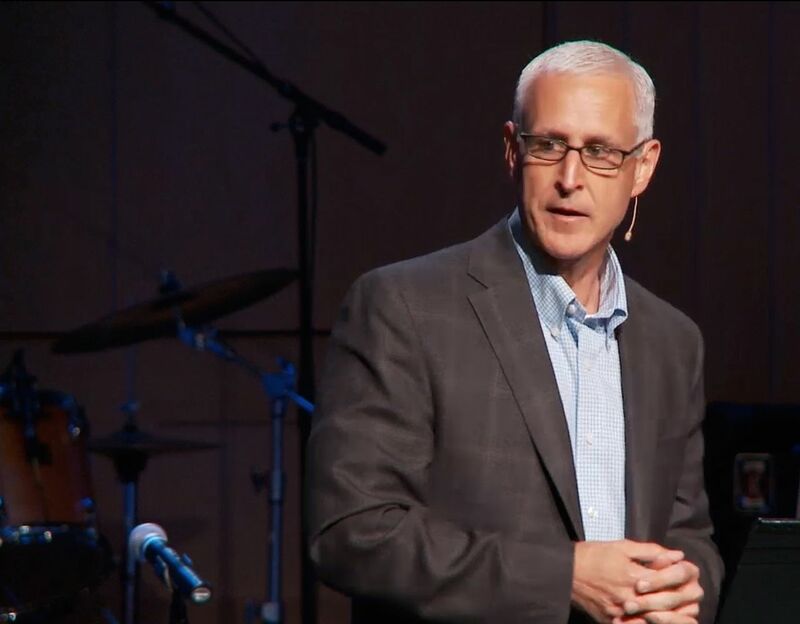 As an award-winning teacher and popular speaker, he has been delighted to team up with Ecclesia Bible Society and Thomas Nelson Publishers to help believers, young and old, step into the story of Scripture. We’ll be talking then about this book and how he has lived it out, especially since he has been one of the main speakers on a radio show in Houston where he has had to spend time with other beliefs since he did it with a rabbi and a Catholic priest. (We have not yet received word as to if they ever walked into a bar after a show.) Capes hasn’t just written about wisdom but he has had to live it out and when he’s asked about the book, we can be sure that we’ll get to see how we can find that wisdom that we need and apply it to our own lives. I hope you’ll be listening then to the next episode of the Deeper Waters Podcast as we seek to discuss a book that is not so much about getting apologetics answer but rather how one should do apologetics. How ought one to interact with those who don’t believe and how should one approach difficult questions and situations? Tune in and we’ll talk about it! What do I think of Craig Evans and Jeremiah Johnston’s book published by Destiny Image? Let’s plunge into the Deeper Waters and find out. ISIS. Go back in time a few years ago and the most any of us would think of would likely be that Isis was the name of that Egyptian deity. Now ISIS is a household name, but we’re not thinking about an Egyptian deity. We’re thinking about an Islamic one. ISIS represents the Islamic State declaring war on the rest of the world with the desire to turn the world over to Islam. They are ready to die for Islam and not only that, but they are ready to see to it that you die for Islam as well. They are a group bent on your destruction and the sad reality is you probably don’t really realize how much of a threat they are. Is this just a radical offshoot of Islam out of step with historical Islam? According to Evans and Johnston, no. In fact, if Muhammad were alive today, he would not only join ISIS, but he would in fact lead it. To show this, the authors go back in time and give a brief history of the origins of Judaism and Christianity and then compare that to Islam. On this journey, you will learn a good deal about the historical Jesus and especially the way that archaeology has impacted our understanding of the New Testament. This is important because the constant contrast in the book will be the person of Jesus with that of Muhammad and then the contrast of YHWH and Allah, the Bible and the Koran, etc. The writers also give plenty of frightening statistics about the way that ISIS is growing. These people have a lot of money and they know how to use social media well. You no longer have to leave the comfort of your own home for ISIS to train you. Nope. You can live a normal life here in America and be training secretly in the comfort of your own home to be a Jihadist. This makes it extremely difficult to find out who is and who isn’t a threat to our security in America. Jihadists show no signs of stopping and indeed, they won’t stop until all the world is converted to Islam and as many of us have seen on the news, they don’t have any hesitation to kill you if they think you stand in their way. This book has a fitting section also about Luther’s Koran at the end. Martin Luther in fact supported the man who wanted to print a copy of the Koran in the Latin of the people because Luther thought that every Christian needed to learn the Koran so they could know how to answer Islam. Luther said this even though he himself had never encountered a Muslim. If it was needed then, it is needed all the more today. One of the reasons Islam is spreading so much is that Muslims are more than willing to die for their faith. If only the day will come when Christians are as willing to live for Jesus as Muslims are willing to die for Allah. I found this book to be extremely eye-opening and I hesitate to say more because you quite frankly need to read it yourself. We live in a culture where Christians are at war and most of us are walking around like it’s 9/10/2001. Addendum: I was given a free copy of this book by Jeremiah Johnston for the purposes of review.